Microcontrollers can accept inputs from I/O ports, interrupts are used for accepting inputs generated by external events. Interrupt event directs the flow of program execution with a totally independent piece of code, known as "Interrupt Sub-Routine". 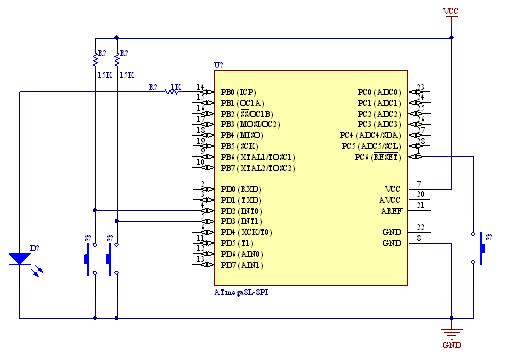 There are many sources of interrupts that are available for a microcontroller. Most of them are generated by internal modules and are called as internal interrupts. The interrupt source must be activated by setting the corresponding interrupt mask/ Interrupt Enable Bit. The enable bit in AVR status register must be set to 1. For this the instruction named 'sei' (Set Interrupt Enable). The interrupt sub routine must present. If there is no code to b e run, then an empty subroutine must occur at particular memory spaced to that interrupt. Finally the event must occur, so the execution of the routine gets triggered. It is tricky to use an interrupt subroutine into a C code of a microcontroller. Therefore the AVR GCC developers use a few symbols to represent the interrupts and macros that minimized the code size in many programs.